Summary: The potential benefit of technology to enhance recovery after central nervous system injuries is an area of increasing interest and exploration. The primary emphasis to date has been motor recovery/augmentation and communication. This paper introduces two original studies to demonstrate how advanced technology may be integrated into subacute rehabilitation. The first study addresses the feasibility of brain computer interface with patients on an inpatient spinal cord injury unit. The second study explores the validity of two virtual environments with acquired brain injury as part of an intensive outpatient neurorehabilitation program. These preliminary studies support the feasibility of advanced technologies in the subacute stage of neurorehabilitation. These modalities were well tolerated by participants and could be incorporated into patients’ inpatient and outpatient rehabilitation regimens without schedule disruptions. This paper expands the limited literature base regarding the use of advanced technologies in the early stages of recovery for neurorehabilitation populations and speaks favorably to the potential integration of brain computer interface and virtual reality technologies as part of a multidisciplinary treatment program. Summary: Machine learning-based analysis of human functional magnetic resonance imaging (fMRI) patterns has enabled the visualization of perceptual content. However, it has been limited to the reconstruction with low-level image bases (Miyawaki et al., 2008; Wen et al., 2016) or to the matching to exemplars (Naselaris et al., 2009; Nishimoto et al., 2011). Recent work showed that visual cortical activity can be decoded (translated) into hierarchical features of a deep neural network (DNN) for the same input image, providing a way to make use of the information from hierarchical visual features (Horikawa & Kamitani, 2017). 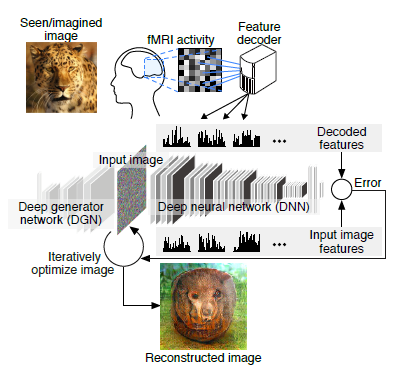 Here, we present a novel image reconstruction method, in which the pixel values of an image are optimized to make its DNN features similar to those decoded from human brain activity at multiple layers. We found that the generated images resembled the stimulus images (both natural images and artificial shapes) and the subjective visual content during imagery. While our model was solely trained with natural images, our method successfully generalized the reconstruction to artificial shapes, indicating that our model indeed ‘reconstructs’ or ‘generates’ images from brain activity, not simply matches to exemplars. A natural image prior introduced by another deep neural network effectively rendered semantically meaningful details to reconstructions by constraining reconstructed images to be similar to natural images. Furthermore, human judgment of reconstructions suggests the effectiveness of combining multiple DNN layers to enhance visual quality of generated images. The results suggest that hierarchical visual information in the brain can be effectively combined to reconstruct perceptual and subjective images. Summary: The DeepMind Control Suite is a set of continuous control tasks with a standardised structure and interpretable rewards, intended to serve as performance benchmarks for reinforcement learning agents. The tasks are written in Python and powered by the MuJoCo physics engine, making them easy to use and modify. We include benchmarks for several learning algorithms. The Control Suite is publicly available at github.com/deepmind/dm_control. A video summary of all tasks is available at youtu.be/rAai4QzcYbs. Summary: Many types of virtual reality (VR) systems allow users to use natural, physical head movements to view a 3D environment. In some situations, such as when using systems that lack a fully surrounding display or when opting for convenient low-effort interaction, view control can be enabled through a combination of physical and virtual turns to view the environment, but the reduced realism could potentially interfere with the ability to maintain spatial orientation. One solution to this problem is to amplify head rotations such that smaller physical turns are mapped to larger virtual turns, allowing trainees to view the entire surrounding environment with small head movements. This solution is attractive because it allows semi-natural physical view control rather than requiring complete physical rotations or a fully-surrounding display. However, the effects of amplified head rotations on spatial orientation and many practical tasks are not well understood. In this paper, we present an experiment that evaluates the influence of amplified head rotation on 3D search, spatial orientation, and cybersickness. In the study, we varied the amount of amplification and also varied the type of display used (head-mounted display or surround-screen CAVE) for the VR search task. By evaluating participants first with amplification and then without, we were also able to study training transfer effects. The findings demonstrate the feasibility of using amplified head rotation to view 360 degrees of virtual space, but noticeable problems were identified when using high amplification with a head-mounted display. 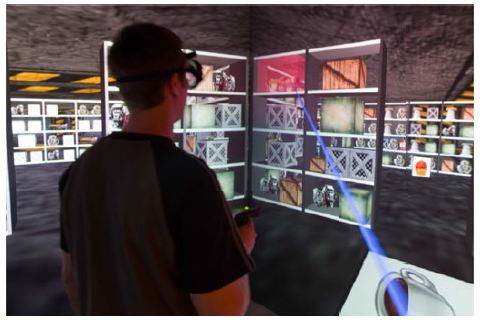 In addition, participants were able to more easily maintain a sense of spatial orientation when using the CAVE version of the application, which suggests that visibility of the user’s body and awareness of the CAVE’s physical environment may have contributed to the ability to use the amplification technique while keeping track of orientation. Summary: User behavior recognition in a smart office environment is a challenging research task.Wearable sensors can be used to recognize behaviors, but such sensors could go unworn, making the recognition task unreliable. Cameras are also used to recognize behaviors, but occlusions and unstable lighting conditions reduce suchmethods’ recognition accuracy. To address these problems, we propose a time-variant skeleton vector projection scheme using multiple infrared-based depth cameras for behavior recognition. 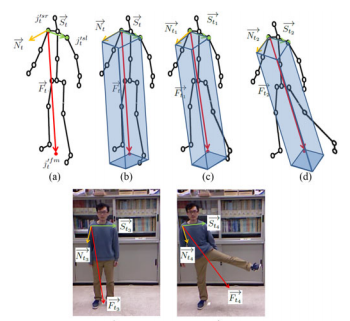 The contribution of this paper is threefold: 1) The proposed method can extract reliable projected skeleton vector features by compensating occluded data using nonoccluded data; 2) the proposed occlusion-based weighting element generation can be employed to train support-vector-machine-based classifiers to recognize behaviors in a multiple-view environment; and 3) the proposed method achieves superior behavior recognition accuracy and involves less computational complexity compared with other state-of-the-art methods for practical testing environments. Summary: Does it feel the same when you touch an object in Augmented Reality (AR) or in Virtual Reality (VR)? 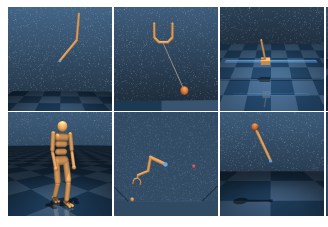 In this paper we study and compare the haptic perception of stiffness of a virtual object in two situations: (1) a purely virtual environment versus (2) a real and augmented environment. 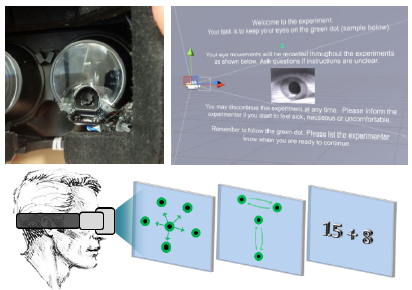 We have designed an experimental setup based on a Microsoft HoloLens and a haptic force-feedback device, enabling to press a virtual piston, and compare its stiffness successively in either Augmented Reality (the virtual piston is surrounded by several real objects all located inside a cardboard box) or in Virtual Reality (the same virtual piston is displayed in a fully virtual scene composed of the same other objects). We have conducted a psychophysical experiment with 12 participants. Our results show a surprising bias in perception between the two conditions. The virtual piston is on average perceived stiffer in the VR condition compared to the AR condition. For instance, when the piston had the same stiffness in AR and VR, participants would select the VR piston as the stiffer one in 60% of cases. This suggests a psychological effect as if objects in AR would feel ”softer” than in pure VR. Taken together, our results open new perspectives on perception in AR versus VR, and pave the way to future studies aiming at characterizing potential perceptual biases. Summary: For neurodegenerative conditions like Parkinson’s disease, early and accurate diagnosis is still a difficult task. Evaluations can be time consuming, patients must often travel to metropolitan areas or different cities to see experts, and misdiagnosis can result in improper treatment. To date, only a handful of assistive or remote methods exist to help physicians evaluate patients with suspected neurological disease in a convenient and consistent way. 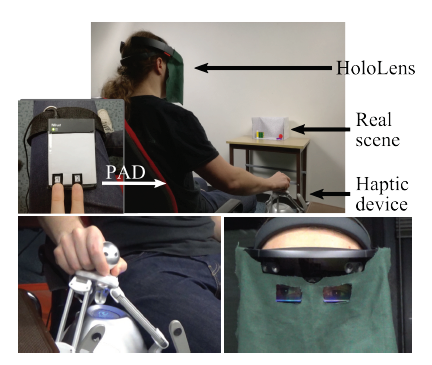 In this paper, we present a low-cost VR interface designed to support evaluation and diagnosis of neurodegenerative disease and test its use in a clinical setting. Using a commercially available VR display with an infrared camera integrated into the lens, we have constructed a 3D virtual environment designed to emulate common tasks used to evaluate patients, such as fixating on a point, conducting smooth pursuit of an object, or executing saccades. These virtual tasks are designed to elicit eye movements commonly associated with neurodegenerative disease, such as abnormal saccades, square wave jerks, and ocular tremor. Next, we conducted experiments with 9 patients with a diagnosis of Parkinson’s disease and 7 healthy controls to test the system’s potential to emulate tasks for clinical diagnosis. We then applied eye tracking algorithms and image enhancement to the eye recordings taken during the experiment and conducted a short follow-up study with two physicians for evaluation. Results showed that our VR interface was able to elicit five common types of movements usable for evaluation, physicians were able to confirm three out of four abnormalities, and visualizations were rated as potentially useful for diagnosis.